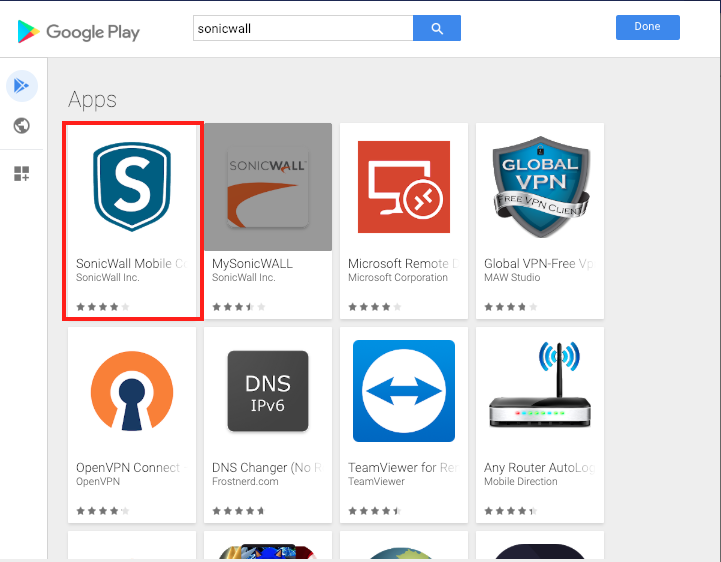 MobiLock and Android for Work makes it easy for you to configure SonicWall MobileConnect VPN on your managed Android devices. 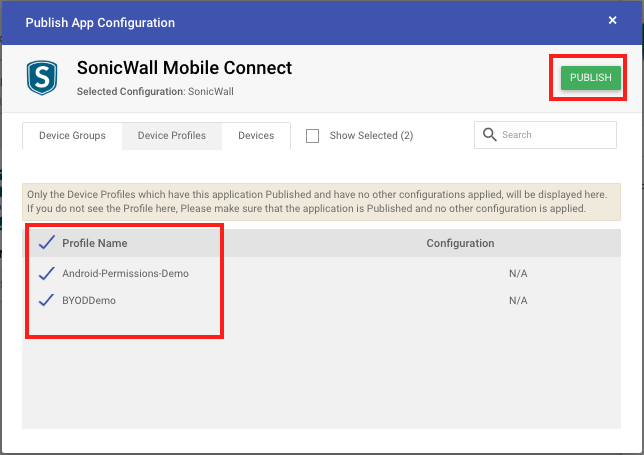 Follow the guide below to configure SonicWall. 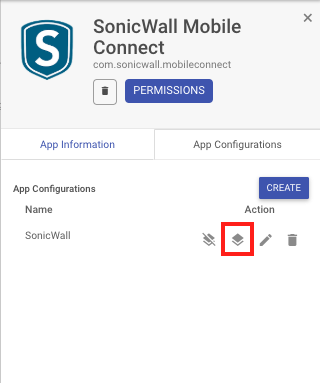 Click on the SonicWall MobileConnect application to see the details card. 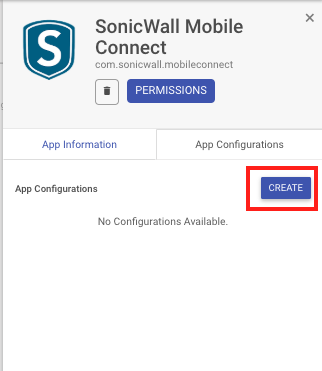 The URL of the headend that is the actual SonicWall MobileConnect server. The domain for this connection. 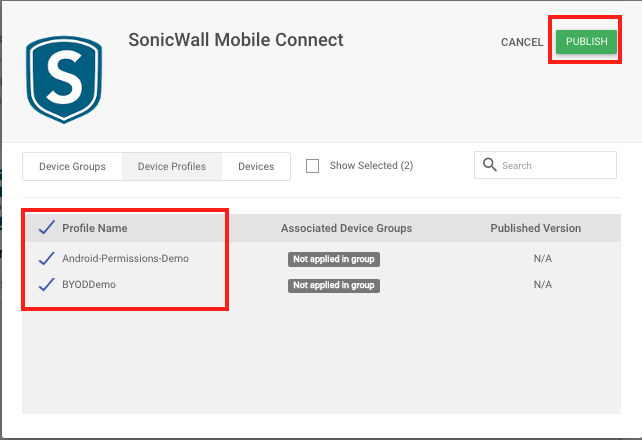 Action type for this configuration, whether it updates or deletes the profile. 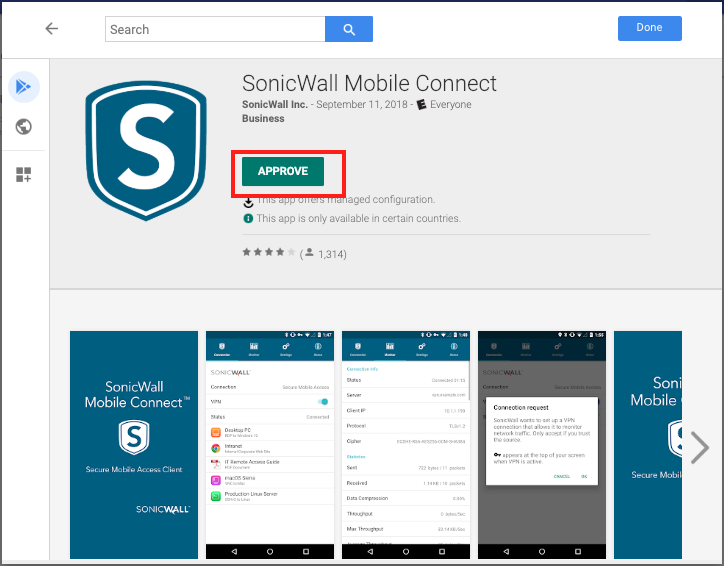 Choose if you want to allow Per-APP VPN or want to configure this as device level VPN. 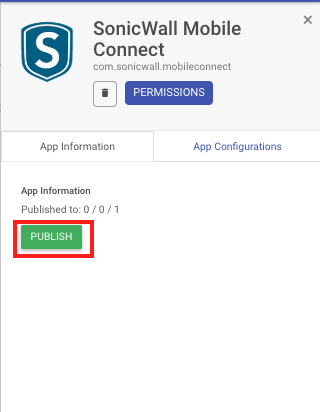 If Per-App VPN is allowed, then a list of packages that should be routed through VPN.